WASHINGTON, July 19./TASS/. The US District Court for the District of Columbia has denied bail to Maria Butina arrested in Washington on July 15. This was the ruling of Judge Deborah Robinson, TASS reports. The 29-year-old Russian gun activist was charged "with conspiracy to act as an agent of the Russian Federation within the United States without prior notification to the Attorney General," the US Department of Justice said earlier. Butina’s attorney, Robert Neil Driscoll denied that she is a Russian agent. He also drew attention to the fact that several months ago, when she came to the attention of local authorities, Maria testified before the Senate Intelligence Committee providing the lawmakers with requested documents. 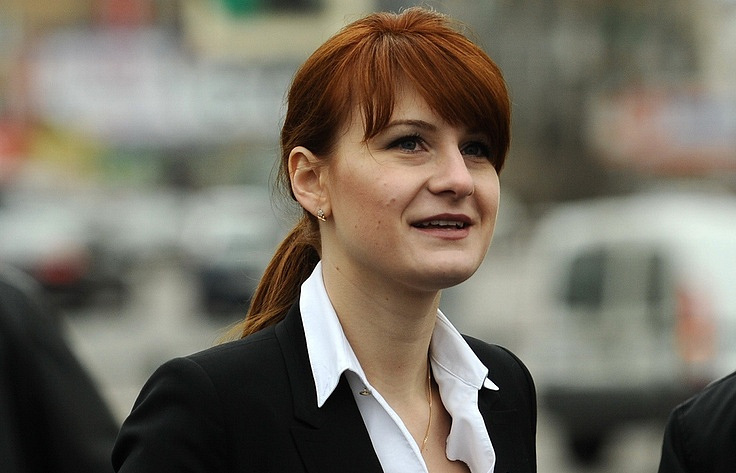 Butina may face up to 15 years behind the bars. Moscow sees Washington’s allegations against Russian national Maria Butina as "far-fetched" and will do everything possible to protect her interests, Russian Foreign Ministry Spokeswoman Maria Zakharova told reporters on Wednesday. "It seems that the FBI is doing a political put-up job instead of carrying out its duty to fight crime," Zakharova said, adding that "we understand that some powers that continue to whip up anti-Russian hysteria are behind all this, as they have been making up bogus stories about Russia’s interference with America’s domestic affairs." "For our part, we are taking all the possible measures to protect the legitimate rights and interests of the Russian citizen," the diplomat pointed out.